Painting your home’s exterior can be a monumental project that will require extensive planning and preparation to ensure that your project is nothing short of successful. 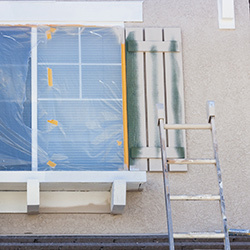 Failing to take the time to fully prepare before your exterior painting project can result in many inconsistencies and aesthetic flaws that can leave much to be desired. 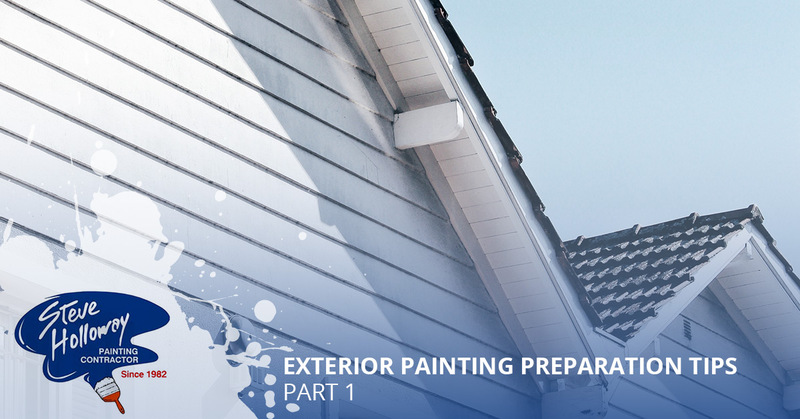 That’s why, in today’s two-part series, we will be talking about a few easy steps that you can take to guarantee that your exterior paint job is completed without any major setbacks. 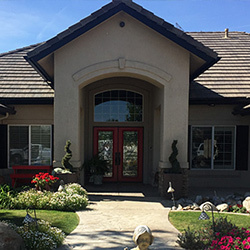 Steve Holloway Painting has served Bakersfield and its surrounding communities for more than 35 years by providing the leading painting services at an affordable price that our customers love. With free project estimates and a team that is devoted to transforming the look and feel of your home, we are confident that our painting contractors will exceed your extensive list of needs. 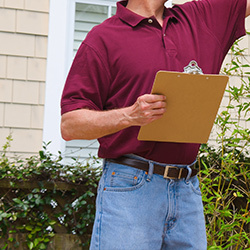 Learn about some of the best ways that you can prepare for your next exterior painting project by reading more below. Finding a high quality ladder that is both sturdy and secure is essential to improving your painting efficiencies while minimizing the risks of becoming injured while on the job. From step ladders and step stools to the versatile platform ladder, you should consider researching which type of ladder will suit your needs best so that you can easily reach every nook and cranny of your home’s exterior. You should never try to save money by purchasing a ladder of lesser quality, as cheap ladders can be made of lightweight materials that are not equipped to handle the stresses involved with painting an entire home. Before you begin painting the exterior of your home, it is important to lay a complete perimeter of drop cloths below the area of your home that will be painted. Drop cloths are usually fabricated from canvas, and can help to prevent splatters, drippage, or spillage while painting. We suggest placing drop cloths along your home’s pavement, flower beds, or any other areas that you wouldn’t want to become permanently damaged if you were to spill paint while renovating your home’s exterior. The performance of certain paints can be entirely dependant on many factors relating to your area’s weather conditions. Discrepancies such as humidity levels and extreme temperatures can cause a wealth of concerns when painting outdoors, making what was once a feasible project now inconceivable. However, as we have stated in previous blogs, waiting for the perfect conditions will significantly help you when painting the exterior of your home. As a rule of thumb, it is important to keep in mind that most paints perform best at temperatures ranging from 40 to 50 degrees. As such, you should plan to paint your home when outdoor temperatures are pleasantly mild. We hope that you found the tips listed above helpful when it comes time to renovate your home. 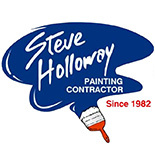 If you are interested in receiving a free project estimate, or would simply like to learn more about our full range of painting services, reach out to the professionals at Steve Holloway Painting today!